Do you find yourself drawn toward the Egyptian gods and goddesses, and you want to learn more about their modern worship? This practice is commonly referred to as either Egyptian Paganism or Kemeticism and is practiced in some form by many people worldwide. 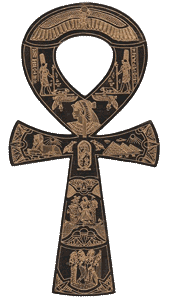 Kemeticism is a form of Neo-Paganism, and falls under the further umbrella of Egyptian Paganism. Kemetic is a modern term that is based upon the ancient Egyptian word for their country, Kemet. This term has also come to refer to any number of Neo-Pagan or New Religious Movements that focus primarily upon ancient Egyptian-themed worship, based to varying degrees on translated Egyptian texts. Kemetic Reform is a new tradition; while basing our liturgy on ancient texts, we also adapt wherever necessary to match the spirit of ancient practice with modern needs.